I’m Joseph Lee, a blind college student from Los Angeles studying communication studies (formerly studied computer science), a code contributor to an open-source screen reader project, and one of the millions of Windows Insiders around the world. My Insider activities are focused on accessibility of various features and apps, Narrator, Subsystem for Linux, and others, as well as researching Windows 10 support issues in NonVisual Desktop Access (NVDA), the open-source screen reader project I’ve been part of since 2012. First, I’m delighted to be given this opportunity to talk about my experiences as a Windows Insider for the past two years. It’s been a great journey to taste what’s new, changed, removed, and made accessible in the Windows 10 ecosystem. I hope you enjoy this blog series on accessibility side of Windows Insider Program as you learn more about how I and other Insiders with disabilities use preview builds, need to make universal apps truly universally accessible and other topics. 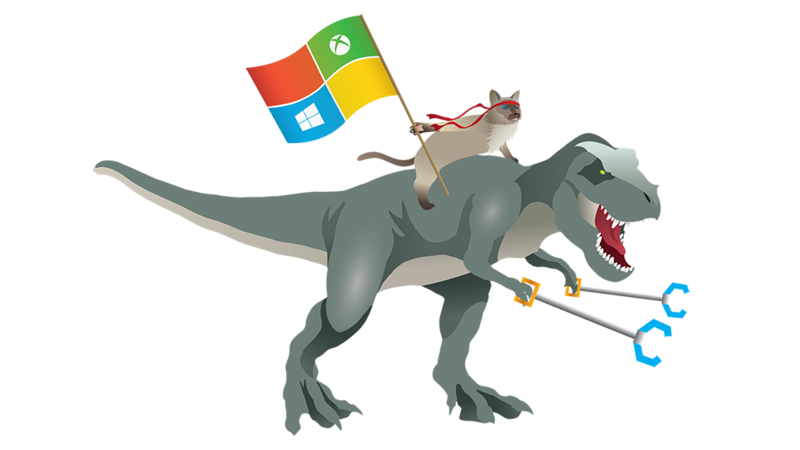 Before I dive into my Insider story, I would like to remind people that the Windows Insider Program is for anyone who is interested in shaping the Windows 10 ecosystem for years to come. I dare not say “everyone” because of different skill sets, and as Microsoft documentation states, “Windows Insider Program is for those who’re interested in giving feedback and shaping Windows 10 and are willing to try out new things”. As for would-be Insiders who have disabilities, my interpretation applies to you as well — if you are adventurous and want to shape Windows 10 ecosystem (particularly accessibility), and if you’d like to give feedback for builds under development, then you are more than welcome to join me and millions on this journey. Speaking of the Insiders journey and the journey I’ll cover throughout this series, I’ll assume that you are either someone who have never heard about accessibility before, have some ideas about accessibility, or write apps and want to know the side of the accessibility story from a user’s perspective. For the last group of readers, you’ll get a chance to hear the accessibility story from a fellow developer’s perspective as well, which should give you an idea as to what is needed in making your apps universally accessible in the future. With the preliminaries out of the way, let’s turn our clocks back two years to September 30, 2014 when Terry Myerson (Microsoft EVP, Windows, and Devices Group) announced Windows 10 and the vision for Windows Insider Program (WIP), with many of us (including I, a blind college student from Los Angeles and a code contributor to an open-source screen reader project) signing up for WIP the next day. As a blind student of computer science and communication studies, I was taught in college that I needed to listen to users’ needs when writing software, particularly needs of those with disabilities like me. After joining an open-source screen reader project as a translator in 2012 while still in college (now a contributor), I learned how valuable user feedback was when shaping a product, thus Terry’s message on September 2014 served as one of the reasons to join WIP. What started out as a curiosity about virtual desktops (one of my favorite features even today) became something that is cornerstone of my Insider experience and one of the pillars of this series: accessibility matters. Thus, my overall mission of using and testing Insider Preview is to educate people (Insiders, app developers, screen reader developers, other users) about accessibility and to continue to champion for users with disabilities, hence most of my feedback in Feedback Hub are about accessibility issues (such as UI Automation problems, control labels and so on; detailed in future posts). As a Windows Insider (one of millions on this journey), it was fascinating to watch how Windows 10 ecosystem has changed to meet the needs of many around the world. Cortana, for instance, opens possibilities for people with various disabilities to interact with their computers, tablets, and phones via voice, while Narrator improvements such as ability to navigate websites in Edge as though one is reading a document (called “scan mode”) changed perception of Narrator from an emergency tool to an impressive progress with rooms for improvement. Other features, such as Windows Ink Workspace, Subsystem for Linux, various apps, and others are now benefiting not only those who can see, hear, walk around easily and so on, but also others like me who are looking for employment, highlight our creativity, and demonstrate our capacity to unlock our potential. Besides watching progress unfold before my eyes, there are three other key highlights of my journey as an Insider with a disability: networking with others, continued misconceptions, and issues, and looking for opportunities to participate in various events (including virtual ones). As Dona Sarkar (software engineer, Windows Insider Program) put it recently, “we are a community”, which, in my interpretation, meant opportunity to network with others, especially those with shared passions and goals. Some in the blindness community around the world are Windows Insiders, and we have shared passion for improving accessibility for others. I also had a chance to talk to one or two able-bodied Insiders via social media and share my experiences, as well as chat with engineers at Microsoft (particularly with Jennifer Gentlemen (software engineer, Windows Shell), with all of us united with a goal of making Windows 10 ecosystem useful for many. Despite continued progress in improving accessibility of Windows 10, there are still misconceptions about people with disabilities and accessibility in general, as well as some outstanding issues. Despite accessibility guidelines for universal apps out there, many apps published in Windows Store does not allow keyboard users to use apps effectively. Although it gives me another reason to test early builds and apps, I long for a day when some of these apps become accessible not because it is mandatory to do so (and because users with disabilities are a sizable market), but because developers have passion for accessibility. There also seems to be misconception that people with disabilities cannot provide effective feedback, but you’ll find some well-written feedback in Feedback Hub and would be surprised to find that these were given by Insiders with disabilities, which shows that our quest for changing misconceptions is far from over. Lastly, being an Insider allowed me to participate in various functions as a member of this community, some of which are virtual. In addition to bug bashes, I enjoyed talking about what’s coming in feature upgrades to various groups, record various tutorials about Insider builds, and participate in a chat between fellow Insiders and some Microsoft engineers in 2016, with participants agreeing that more of this should be held. Speaking of Insiders for Good (a community outreach program for enhancing lives of people via technology), I believe that these should not be limited to physical gatherings. As more online connections are being made, virtual events could provide opportunities for people to come together and talk about community issues and what we can do as Insiders. I also believe that, as a community champion for accessibility, having opportunities for Insiders for Good that addresses accessibility needs are just as important as addressing other social issues via technology, and Windows Insiders are in a position to bring this to fruition in the future. What I described above is just one part of the picture that defines my journey as an Insider. There are other things to talk about, including how I and other Insiders test builds, accessibility issues and resolutions, and defining accessibility from different angles, chiefly from that of a user and a developer. Along the way I hope to share best practices to make universal apps accessible, what developers should and should not do with feedback from users, and let Insiders with disabilities (and others) know that they are not alone in this journey. All these I hope to publish as separate posts on this blog, with each post dedicated to topics I discussed earlier. Lastly, I’d like to thank Microsoft for giving me and others an opportunity to help shape Windows 10 ecosystem for years to come. Special thanks goes to Gabe Aul (CVP, Engineering), Dona Sarkar, engineers I met online, fellow Insiders (having disabilities or not), app developers, fellow screen reader developers and others for continued feedback, collaboration and other activities. I hope you enjoy this series and learn about the fascinating topic that is accessibility, just as I enjoyed learning about various things throughout my Winsiders and Accessibility journey.